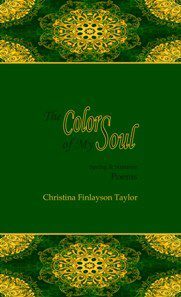 The Colors of My Soul is the spring/summer companion of Near-Life Experience, the autumn/winter half of a solar cycle of poems. As the days lengthen and the sun stirs seeds to life, the poet emerges from the depths of introspection into the ever-present NOW to find mirrors of herself in nature, to lose herself in the sights and sensations that unfold like petals in morning light. As without, so within. 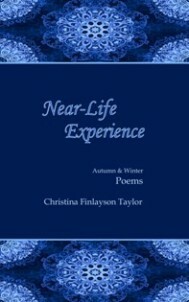 Near-Life Experience is a cozy collection of poems wherein the poet’s flux of struggle and surrender through the grays of the seasons and the grays of life is balanced with yellow optimism: autumn and winter complete not only with coffee and a blanket, but with acceptance of what is, and the ability to fall and rise in the same moment. 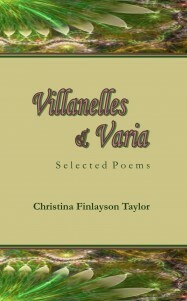 The poems in Villanelles & Varia are a small time-capsule of the bountiful summer of my life. The breadth of subjects (from the intro) “…extends from my heart and soul outward to the white picket fence that encloses my Paradise Within. This small perimeter, save for distant loved ones, is my entire multiverse. It is space without limitation; objects and situations turned inside-out. I am full-filled in the little things.” This collection is but one chapter of more unfolding.